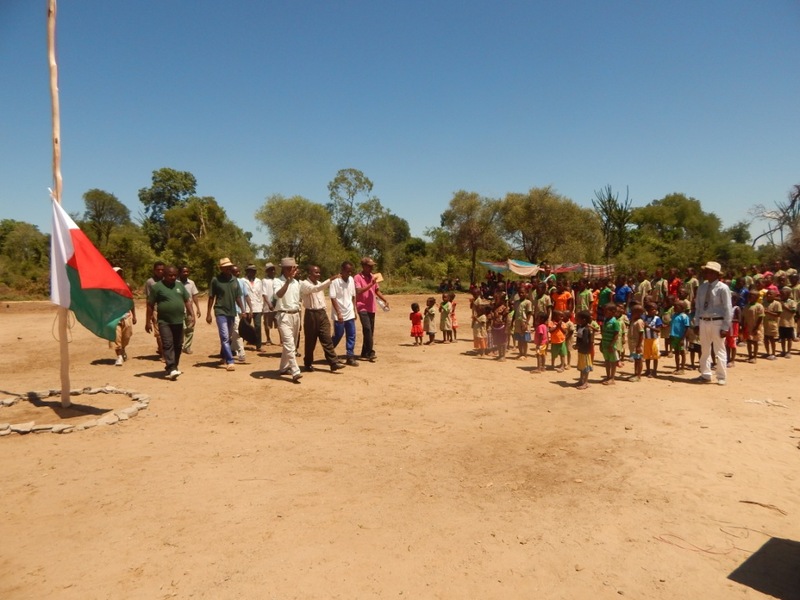 With the support of private international donors and facilitation by the Bezà Mahafaly Monitoring Program, Antarabory village now has a new primary school. 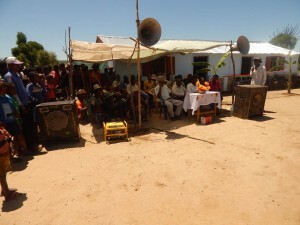 The school was inaugurated on January 27th by the new mayor of Ankazombalala, Mr. Soja. Several other notables also attended this inauguration, including various officials of the primary education service (from Betioky and Beavoha), local authorities of surrounding villages and the Vice-President of the Reserve’s Steering Committee (or COSAP). 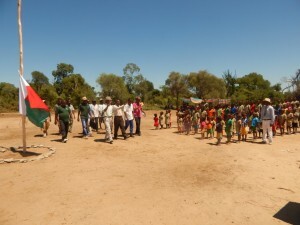 This school, built with local stones with a tin roof, includes two large rooms. The school currently has a total of 176 school children: 60 in pre-school classes (ages 3 to 5) and 116 in primary classes (ages 6 to10).